A new study, discussed at the 2018 annual meeting of the American Academy for the Advancement of Science, revealed another complication in the effort to reduce health-threatening air pollution. It surprisingly revealed that as climate change has been unfolding, the mix of sources of urban air pollution has been changing, which itself presents potentially formidable new challenges for air-quality planners. AUSTIN – As tailpipe emissions dwindle with increasingly rigorous controls, volatile chemical products that include pesticides, coatings, printing inks, adhesives, cleaning agents and personal care products now make up about half of volatile organic compounds (VOC) emissions from fossil fuels in industrialized cities, contributing to continuing air pollution problems. That was the surprising finding by 20 representatives of 12 academic and governmental institutions that published it in a report in the latest edition of the journal Science. At the 2018 annual meeting of the American Association for the Advancement of Science in Austin, leaders of the mammoth project described the painstaking work that went into identifying the gap in the inventories of urban volatile organic compound sources – a gap that had only widened as controls on air pollution from transport- and fuel-related sources reduced emissions. To their surprise, the researchers found that these common chemical products are responsible of about half of VOCs. While 95 percent of petrochemical products are fuels such as natural gas, gasoline and diesel fuel, only 4 or 5 percent go into volatile chemical products. “It might seem surprising that they could be that much of a problem,” said Brian C. McDonald of the Cooperative Institute for Research in Environmental Sciences at the University of Colorado and the National Oceanic and Atmospheric Administration (NOAA) at Boulder and first author of the report. However, the study, which centered in Los Angeles, found that paints, pesticides, hair spray and perfumes are responsible for half of fossil fuel VOC emissions in industrialized cities. 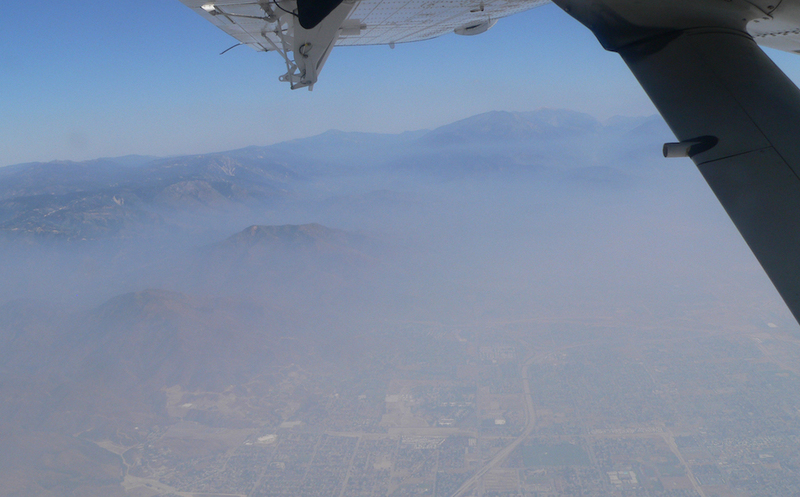 Even though this study centered on Los Angeles, long known for its air pollution, “emission of these sources will affect urban air quality in other large cities,” said Jessica B. Gilman, a research chemist in the chemical science division of NOAA’s Earth System Research Laboratory in Boulder, Colorado. Energy and chemical production statistics. Near-roadway measurements of transportation emissions, together with laboratory testing of chemical products. Ambient air measurements away from roads. “Consumer products are regulated as a potential source of air pollution, but other chemicals can contribute to the formation of fine particulates (especially tiny particles known as PM2.5) as they are emitted to the atmosphere,” said McDonald. To carry out the work, she and other research chemists identified a unique “chemical fingerprint” of common solvents found in everyday consumer products. “While the production chemical products are only 5 percent (of the use of petroleum products), they are nearly equal of transportation-related emissions in the environment,” she said. However, fuels are kept and used in air-tight tanks, while many of the consumer products such as hand sanitizers, ink and paint are designed to evaporate. “Colleagues who measure air quality know that even if non-toxic products are used indoors, a significant amount goes outside,” she said. In addition, many of these products contain unlisted ingredients that are not measurable in ambient air. Much work to reduce air pollution has been directed at reducing levels of ozone (O3), which forms when VOCs and nitrogen oxides mix in sunlight, and, more lately, particulate matter. Both near-ground ozone and tiny airborne particles have been regulated as health hazards for decades under the federal Clean Air Act. “Our work is at the starting point,” said Cappa, when questioned at a media briefing about what specific products create the most pollution. He noted that volatile chemical products contained in cleaning products have risen in importance as concentrations of solvents in paints, glues and coatings have been reduced. Yet few air pollution models take into account VOCs specific to personal care products or synthetic forms of VOCs. “As knowledge of VOC chemistry improves, it will become possible to develop more targeted approaches to reducing impacts,” he wrote. “These are choices we make every day,” said Gilman. Those choices may be affected by the results of ongoing research into the makeup of today’s air pollution. Ruth SoRelle, a medical and science writer for more than 40 years, covered the annual meeting of the AAAS (American Association for Advancement of Science) for Texas Climate News. The 2018 meeting was held Feb. 15-19 in Austin. SoRelle covered a variety of science topics as a reporter for the Houston Chronicle, explained them as chief science editor at Houston’s Baylor College of Medicine, and continues to write about them as an independent journalist based in Houston.